Pineapple sous vide tastes like…pineapple. Kiwi tastes horrible – like over boiled broccoli. Definitely the biggest flavor change. The membrane of the lemon becomes almost fish like in texture, but the flavor is still pretty sour. The most promising of our candidates – plums. 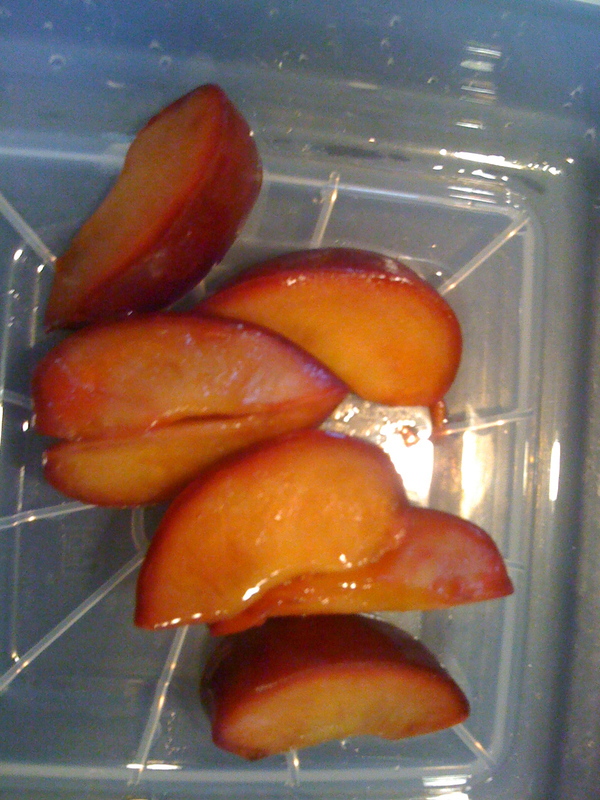 The flavor was good, the color change was nice, and we could see the beginnings of interesting changes in the peel. Further testing will need to be done with time and temperature to find out what looks and tastes best, but a great start. I love this club.